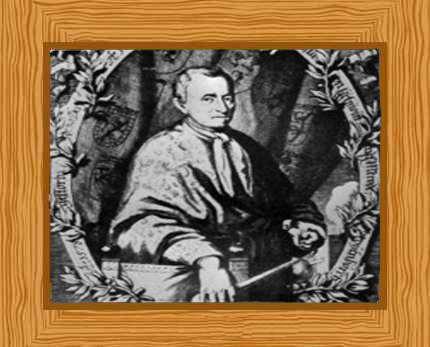 Jan Baptist von Helmont was one of the early brilliant minds in the modern period of Flemish chemistry, physiology, and medicine. Sometimes, he is considered as the “founder of pneumatic chemistry” and today he is remembered by modern generations in the field of medicine for his thoughts on spontaneous generation, how he introduced the word “gas” to the scientific vocabulary, and his famous 5-year tree experiment. Born on the 12th day of January in 1580, Brussels, Belgium, Jan Baptist von Helmont was a member of one of the noble families. He was the youngest of the five children of Christiaen van Helmont, a public prosecutor, and Maria van Stassaert. He obtained his education at the Catholic University of Louvain and gained his philosophy degree in 1594. There, he also explored the many different fields of science. However, he found no satisfaction in them and in the end he focused his works on medicine. He obtained his medical degree in 1609 after ten years of travels and studies. Helmont interrupted his studies with some travelling through England, France, Italy, and Switzerland where he gained practical medical skills. In 1605, he practiced medicine in Antwerp during the time of the great plague. Four years later he obtained his doctoral degree for his courses in medicine. Having finished his education completely, he then married Margaret van Ranst, who also came from a noble family and the couple lived in Vilvoorde, an area near Brussels. They had at least five children, and because of the inheritance his wife had, he was able to comfortably retire early. Helmont occupied himself with various chemical experiments and “exploring the kingdom of plants, animals and minerals through careful examination”, until his time of death. Helmont is sometimes referred to as the founder of pneumatic chemistry. This is because he was the very first to understand and acknowledge that there are certain gases which are different from atmospheric air. He claimed the word “gas” to be his own invention, and he perceived how what he called as “gas sylvestre” which is produced from burning charcoal is also the same gas present in fermented food. This same air was what he claimed to be the cause of caves having irrespirable air. What makes this man of science interesting is that he was one of the disciples of Paracelsus, an alchemist and a mystic, these two fields which are usually contradictory to what “science” really is. Most probably because of this, Helmont believed that air and water are the two most primitive elements. He explicitly denied fire to be an element, and stated that earth also is not an element since it can be reduced to water. From these thoughts and beliefs, Helmont conceived the 5-year plant experiment. He planted a willow tree in 200 pounds of dry soil and he gave the tree nothing but water for five years—the soil remaining basically the same throughout the time of the experiment. Over the course of 5 years, the willow tree reached its maturity taking in what it was given, and in the end it totaled 169 pounds. Because of this finding, Jan Baptist von Helmont argued that the growth, change in weight, accumulation of bark, and roots had been formed based on the supply of water alone. Helmont believed in the old idea that bodily processes have fermentative characteristics, but compared to any experimenters who came before him, applied it in more elaborate and conclusive means. He perceived how digestion, nutrition, as well as internal movement related to these procedures are caused by ferments which help convert the “dead food” into what the body can use to support its living flesh. Also concerning digestion, he suggested that food consumed is digested by the heat from the body. However, if this was the case, according to him, how are the cold-blooded animals able to digest their food with something as heat? This was where the fermentative properties came in. He believed that there are chemical agents inside the body which bring about the fermentation and convert food in the stomach into usable energy. This idea of Helmont is very much similar to today’s modern concept of the role of enzymes in the body. Being a disciple of Paracelsus, his scientific thoughts also had their own indications of still having mystic and alchemical ideas behind them. He introduced complicated supernatural systems in the body. These included the “archei” which was said to preside over the direct affairs of one’s body and the archeus which controls the different “subsidiary archei”. He considered that diseases were caused by certain affections observed in the different “archeus” which he called “exorbitatio”. Helmont believed that remedies act by bringing back the balance that the body needs. Combining these ideas and his knowledge in medicine, he made unique yet effective deductions. One example was how acidity caused by digestive juices can be remedied by alkalis. Because of this thought, he was one of the forerunners of the iatrochemical school (provides chemical solutions to diseases and medical ailments). He contributed to the field of medicine by applying the different chemical methods he knew for the preparation of certain drugs. Above what he called the archeus, Helmont also believed in the presence of a person’s sensitive soul. According to him this is the shell or husk of one’s immortal mind and before “the Fall,” a person’s archeus obeyed the immortal mind. Apart from the archeus, Helmont also believed in certain governing agencies which resembled the archeus, one of which is “blas” or motion. He particularly believed that there is blashumanun or blas of the humans, and blasmeteoron or blas of meteors. Meteors do, after all, have their own gas and even have motion, which is why his belief about “blas” appeared to be something that is not based on just whim alone. Helmont was a fervent observer of nature, and with his education as well as other beliefs, his contributions transcended his time and wrote his name in history. Helmont published several works: De magnetica vulnerum curation (About the Magnetic Healing of Wounds, 1621), Supplementum de Spadanis fontibus (Additional Information on Spa Waters, 1624), Febrium doctrina inaudita (A New Theory of Fevers, 1642) and Opuscula medica inaudita (New Medical Tracts, 1644). Jan Baptist von Helmont died on 30 December 1644, aged 64. His son, Francis Mercury van Helmont (1614-1699), become a famous physician himself and a pivotal figure in the dissemination of his father’s ideas.